Rashaan Melvin believes in himself. He did before joining the Raiders organization. He will after leaving it. LONDON — Rashaan Melvin believes in himself. He did before joining the Raiders organization. He will after leaving it. In March, his belief led him to sign a one-year contract worth up to $5.5 million. The deal afforded an opportunity not only to prove he could play a full 16-game season but at the high level he showcased in the past. The Raiders stood to benefit in the short term and, if Melvin and the club were to sign an extension, perhaps long term. On Sunday, Melvin played an equal number of snaps on defense as on special teams: seven. How the Raiders have handled their work distribution at cornerback has taken a drastic turn the past two games. 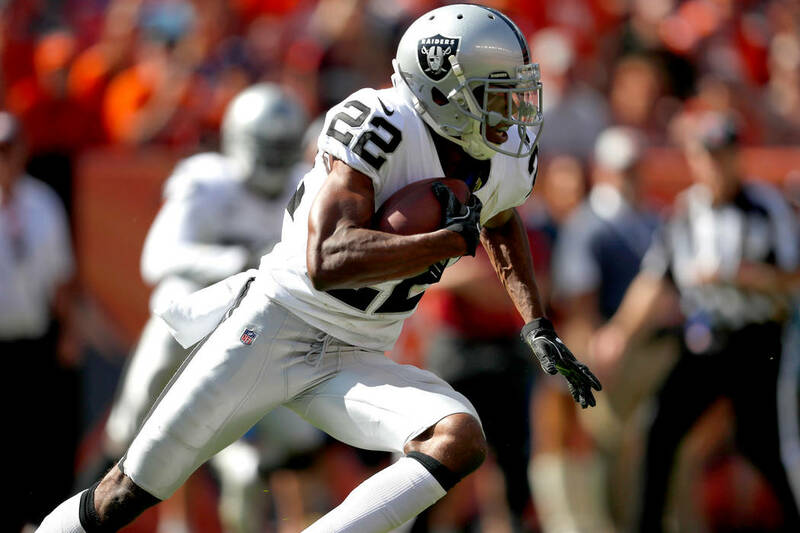 Most recently, Melvin and 2017 first-round pick Gareon Conley largely rode the bench during a 27-3 loss to the Seattle Seahawks at Wembley Stadium. Conley did not appear at all on defense. Melvin was an afterthought, too. Seven months ago, this was neither the fit Melvin nor the Raiders had in mind. A serious come-to-terms moment may be required for this partnership to have any legs beyond 2018 — or perhaps, even to see the end of it. Melvin, 29, has struggled to adapt certain technical aspects the Raiders demand of their cornerbacks into his game. For example, he was unfamiliar with the “motor” technique in press man coverage. He had to learn it. He was uncomfortable employing it. He failed to deliver on expectation. It’s now mid-October. At some point, the Raiders must adjust their scheme to maximize the player’s abilities or simply move on from the player himself. Notably, the trade deadline is Oct. 30. There also is a third alternative, one that gradually has been explored. Sit him on the bench. Melvin mulled his situation more on Monday. He then provided a more public comment. Internally, the Raiders prefer Daryl Worley at outside corner. Coach Jon Gruden anticipated his return from a four-game NFL suspension, targeting Week 5 as an opportunity to mix up their cornerback rotation. Indeed, that transpired. Worley compiled a strong offseason and is a candidate for an extension by next March. He led all Raiders cornerbacks in defensive snaps during both games since his team debut. Melvin and Conley started every game this season, up until Sunday. Worley started and played 62 of 64 defensive snaps. Dominique Rodgers-Cromartie started and played 55. Leon Hall continued his featured role at nickel corner with 54 reps. Melvin and Conley watched. Melvin was notified Saturday in London that he wouldn’t start, he said. The Raiders (1-5) are on bye this week. They can decide what to do with Melvin, who had a breakout 2017 season with the Indianapolis Colts. He recorded three interceptions and 13 passes defensed in 10 games before a season-ending hand injury. He hoped 2018 would prove his place as an elite NFL cornerback. If his modest usage continues, Melvin can part with any chance to earn the $1 million in possible incentives in his contract. A person familiar with his deal said that Melvin can collect up to $750,000 based on the percentage of the Raiders’ defensive snaps he plays in 2018. Specifically, he separately can earn $187,500 at 60 percent, 70 percent, 80 percent and 90 percent. Sunday dropped him to 69.1 percent. The other $250,000 is for a Pro Bowl selection. In March, Melvin believed all goals were achievable. He still does.